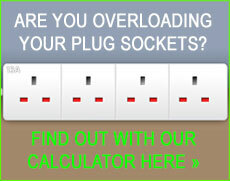 Why to choose us as your local Eastcote electrician? We undertake all types of electrical work from adding an additional socket in your home to a complete design and re-wiring project. All of our electricians in Eastcote HA4, HA5 have their own vans together with all the tools and sundries they would require to complete your job on time and on budget. Additionally, every one of our electricians in Eastcote are NICEIC registered which gives you peace of mind when choosing a certified domestic electrician. Our expert team of dedicated electricians in Eastcote HA4, HA5 are always ready to undertake electrical work as quickly and efficiently as possible. All electrical work will be carried out by a qualified electrician and to the highest standard. We are diverse in that we can work with everything from Boilers, Outdoor lighting, kitchen and bathroom installations and underfloor heating to audio equipment or phone socket installations. Using our knowledge of the electrical industry, if it's a larger project we are undertaking, we will always sit down and have a chat with you about any specific ideas and suggest ways we can minimize the costs you pay. Our electricians in Eastcote aim is to provide you with the best possible solution to all of your electrical requirements. By having that detailed discussion first, this enables us to improve the accuracy of your final quotation so you won't get any shocks about pricing later on down the line. We have Eastcote electricians at your disposal, available 24 hours a day and they will happily assist you if ever you have an electrical emergency, or even just for a routine maintenance job that needs our expertise. At dkp Electrics, is always available so you won't have to panic. Remember that you're only a phone call away from a troublesome electrical job being completed efficiently and professionally, whether this is at your home or other premises in Eastcote. As all of our electricians at dkp Electrics are NICEIC registered, we give you our full confidence that the level of electrical service and workmanship you receive will be of the finest standard, and we always comply with the required health and safety standards and regulations. If you do decide to choose our electrical services, you can rest assured you've made the best choice and you can rely on us to give you a professional, friendly, reliable and competitively priced service from beginning to end. If you're worried about any mess or disruption being caused to your premises, we always try to ensure we cause the minimal amount of disruption leaving your home spotless once work is finished. Contact dkp Electrics to book your qualified and helpful electrician in Eastcote HA4, HA5.